Preferred is the premium grade, hand-selected for maximum heart-wood content and for generally smaller, less frequent knots. Sound knots range from small to 2" diameter, while heartwood is 70-100%. 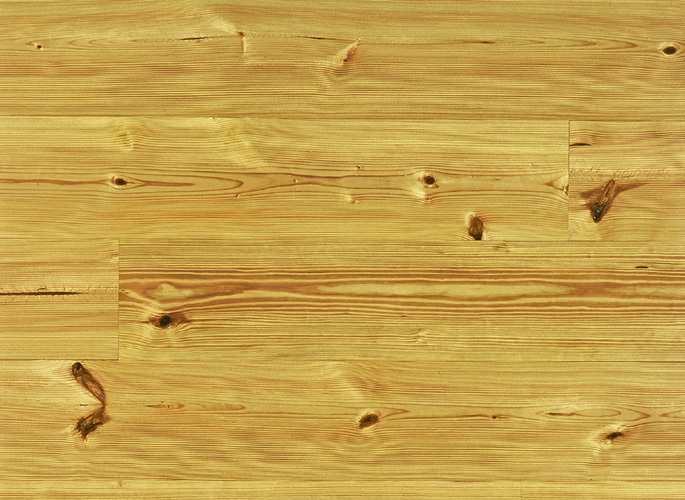 A mix of vertical and plainsawn grains, heart pine flooring is manufactured using the middle portion the heart of the domestic Southern pine, which yields the most dense, strongest and hardest wood. Harvested from sustainable forest resources, heart pine is precision-milled into tongue-and-groove, solid wood flooring, supplied ready for site finishing. Naturally finished heart pine floors will become richer and darker with age.